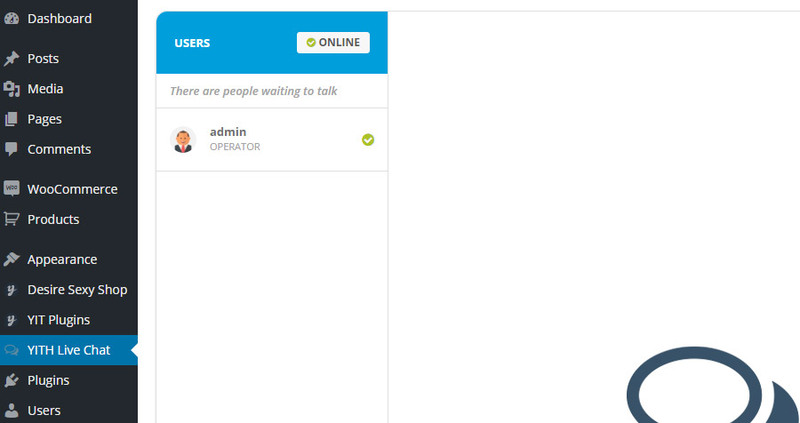 If you have entered the required data correctly and if you have enabled the chat plugin in YIT Plugins -> Live Chat, all you have to do is to open the chat console: click on “YITH Live Chat” that you can find in WordPress admin panel. Every new connected user will be added to the list until the maximum number of simultaneous online users is reached. Moreover, in the right side of the conversation, you’ll be able to read details about the user and his/her access. The chat window is enabled on every page of the site by default.